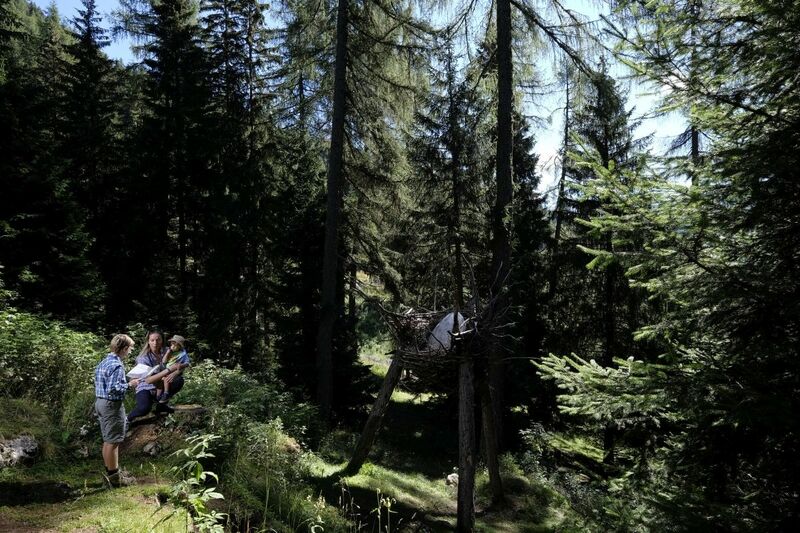 The Dragon Forest is an easy walk in the mountains for children and families. It is a 1.4 km round trip on a flat paved path. 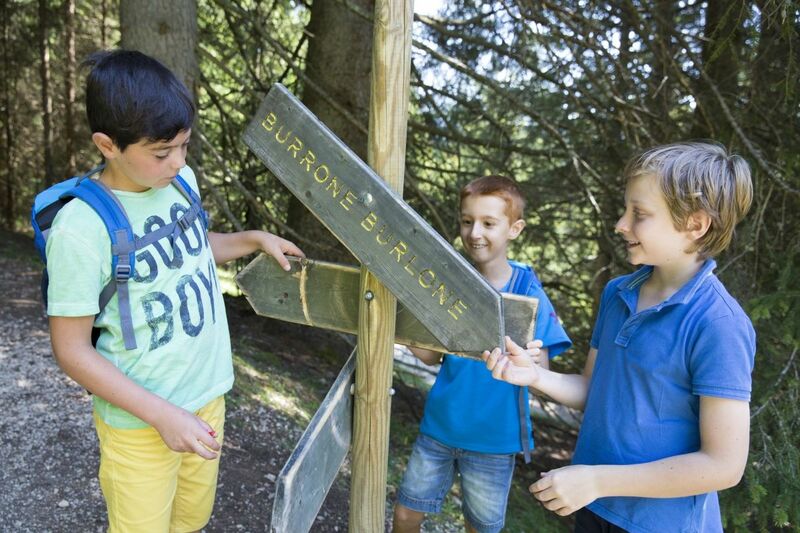 It starts and finishes at the same point: not far from the Predazzo-Gardonè bubble car. The path is accessible to all, especially the disabled. Small children can stay in their pushchairs. It lasts about an hour, without any need to be accompanied. 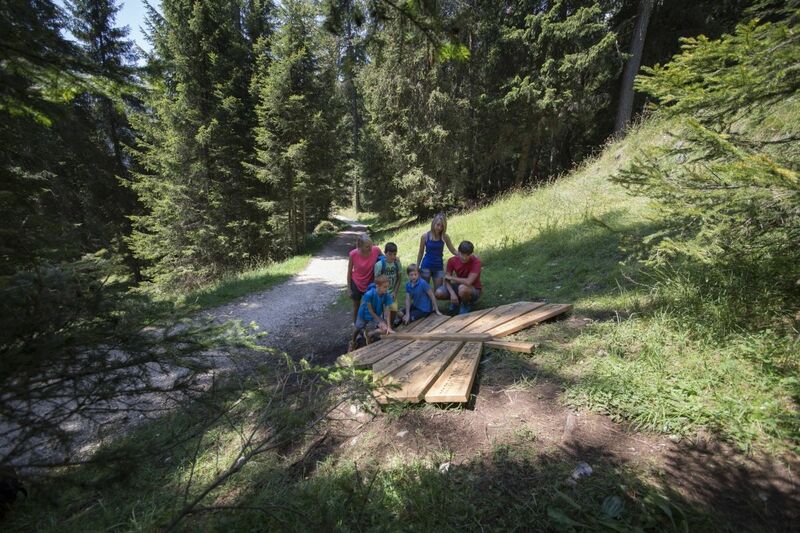 The path unwinds partly through the woods and is sunny and panoramic. 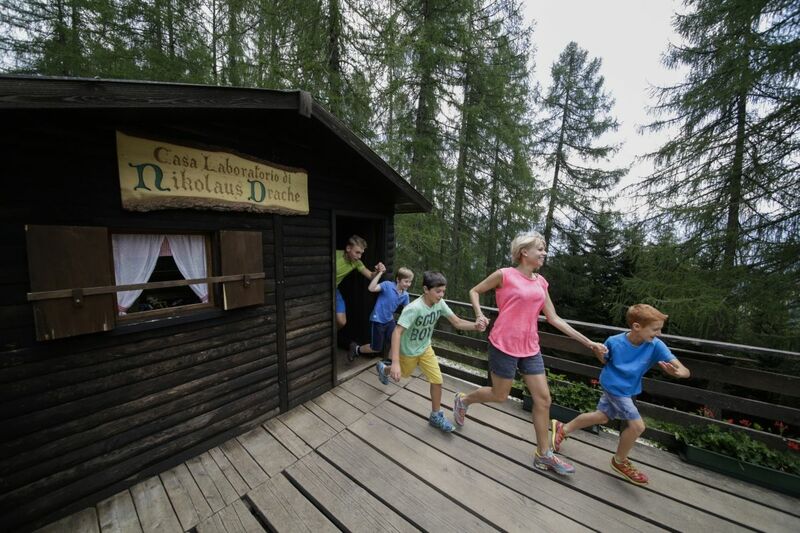 You are at a height of 1,650 m, in the mountains, at Gardonè: at 15 minutes from Predazzo, in Val di Fiemme, in the Trentino Dolomites, UNESCO Heritage site. Look up and you have the wonderful Latemar towers in front of you. 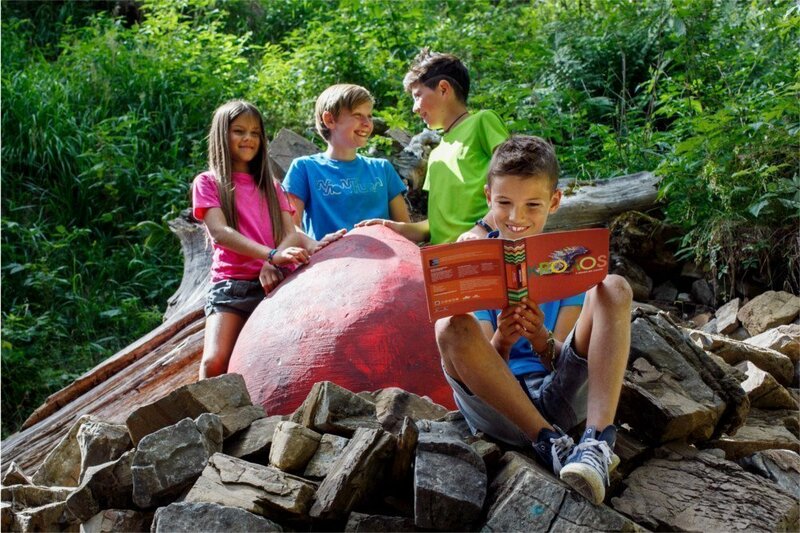 The best way to explore the Dragon Forest is with the help of a playbook: riddles, clues and short stories to fire the imagination. 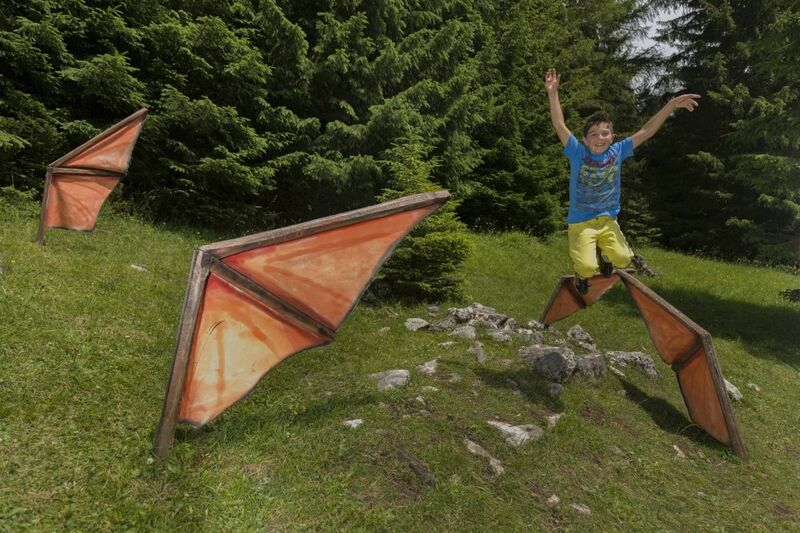 On Sundays Nikolaus Drache entertains with a travelling show. 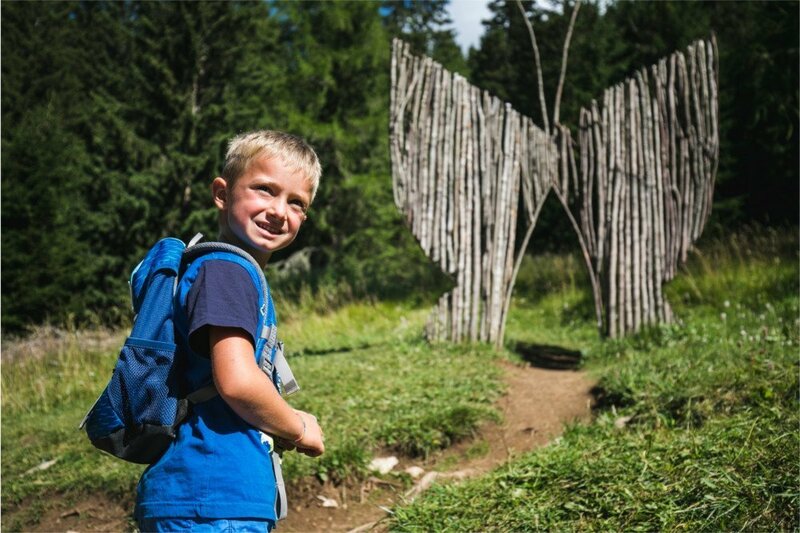 The Dragon Forest is a theme path for children and families, an easy walk past works of land art. 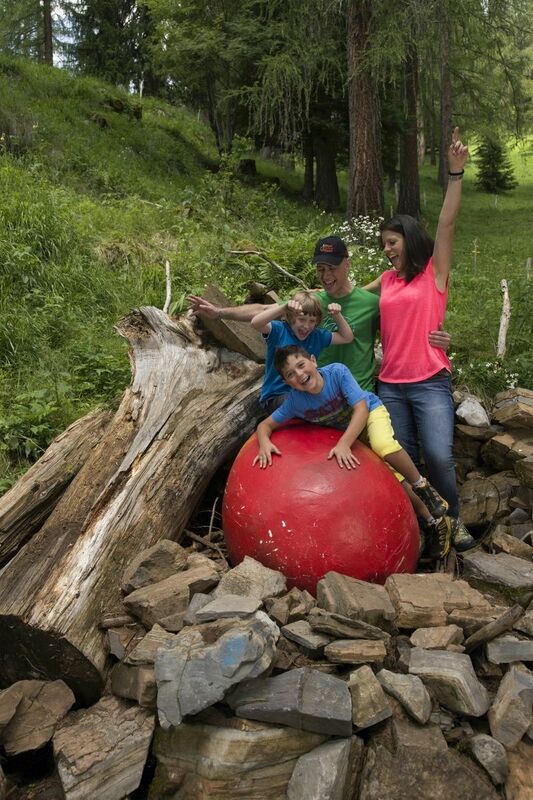 Whoever comes to Trentino for a family holiday in the Val di Fiemme mountains is in for a big surprise. 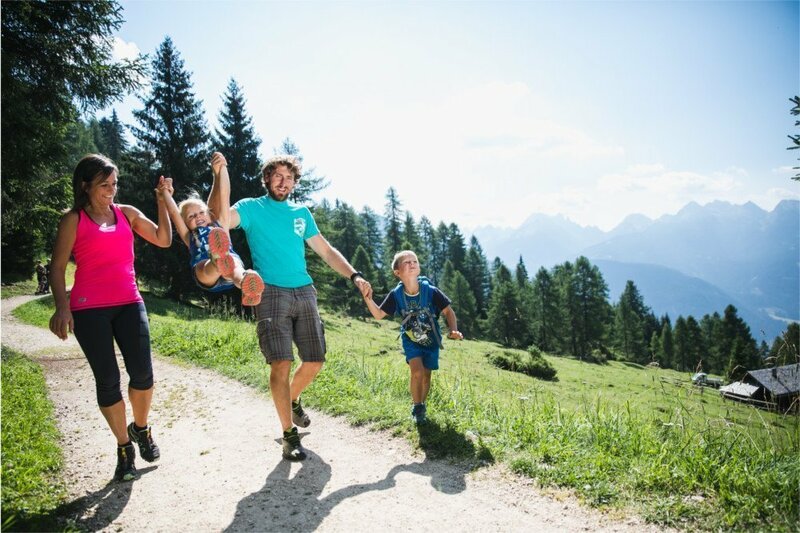 If you are looking for an active holiday with your children, if you are happy to join in games, want to spend your holiday with your family and enjoy yourselves then the Dragon Forest is for you. 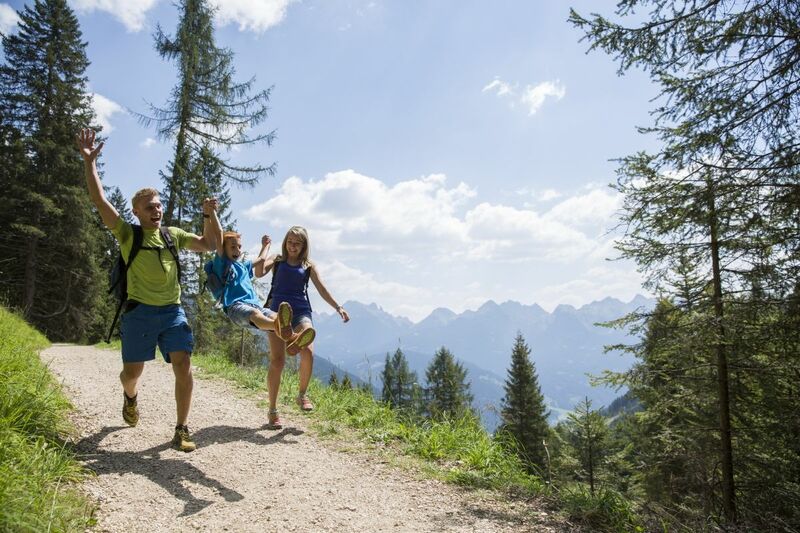 An easy walk for children with a family game to discover. 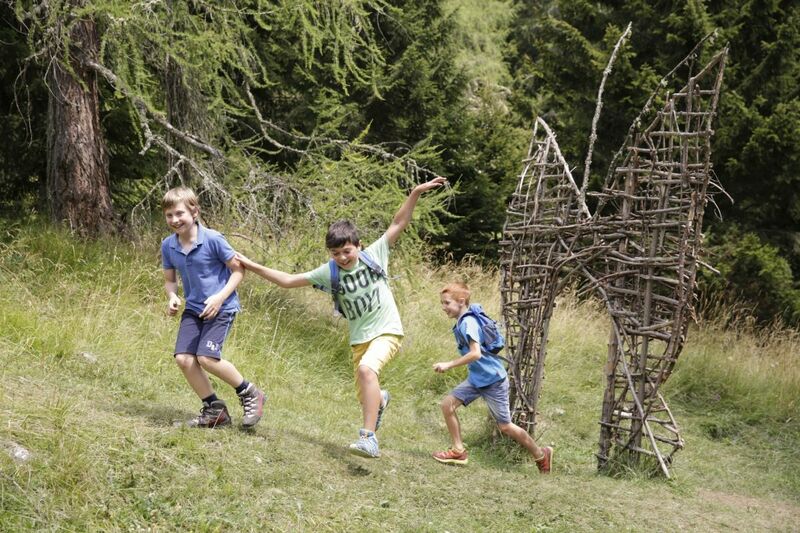 The loop path is flat, with works of land art, respecting the environment. 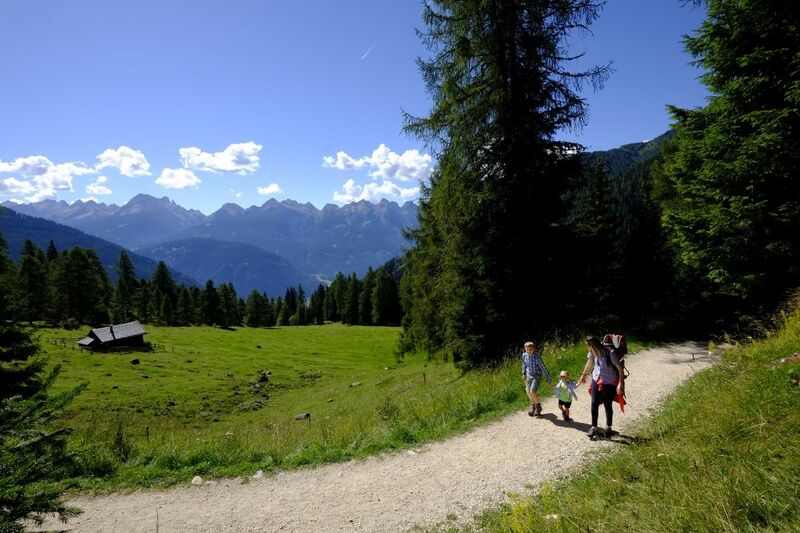 We are at the foot of the Latemar mountains, in the UNESCO Dolomites. you can walk freely along the path and practise looking for the dragon tracks with the children. The powerful winged creatures which inhabit the Latemar mountans have left obvious clues which reveal their wish to be seen. 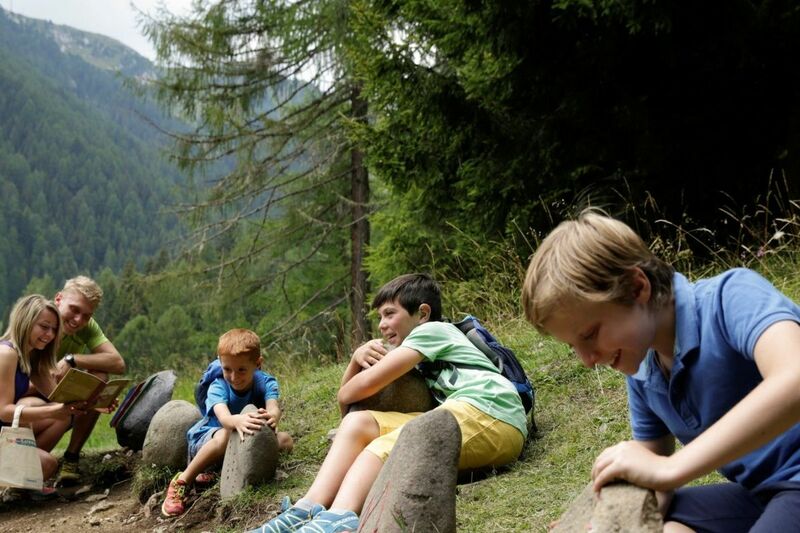 There are signs of their passage along the itinerary: a path 1.4 km long at the foot of the Latemar mountains, amongst the wonders of Val di Fiemme. There is no need for a guide, you can walk freely allowing yourself to be inspired. 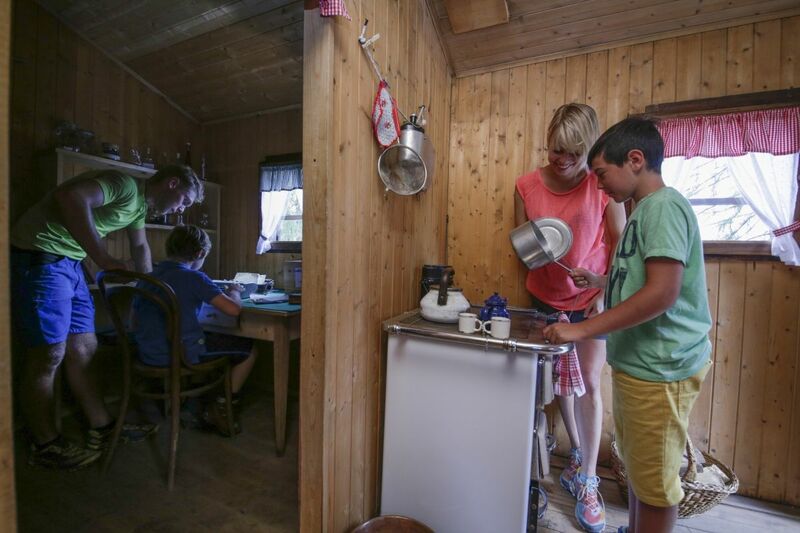 This is what holidays with children are like: all you need is one story to encourage them to look upwards and open up the eyes of their hearts. 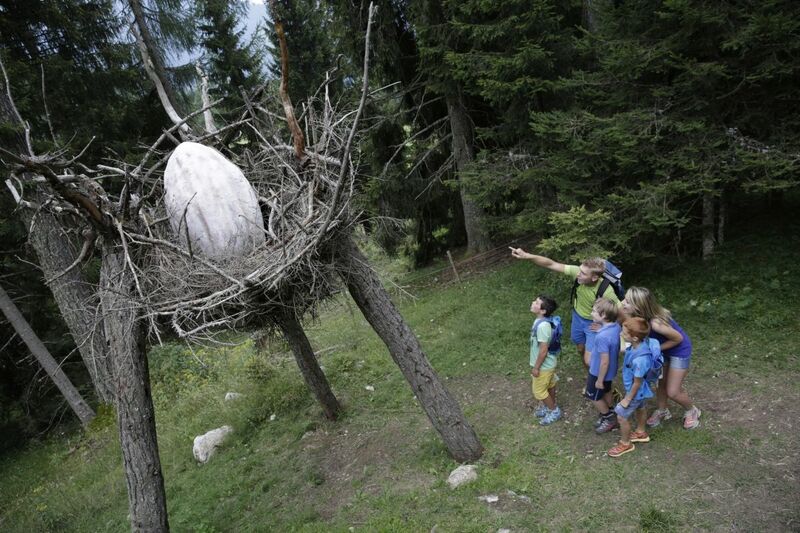 The installations along the path have been created by local artists: the students of the Art School G. Soraperra of Pozza di Fassa have worked with Marco Nones. 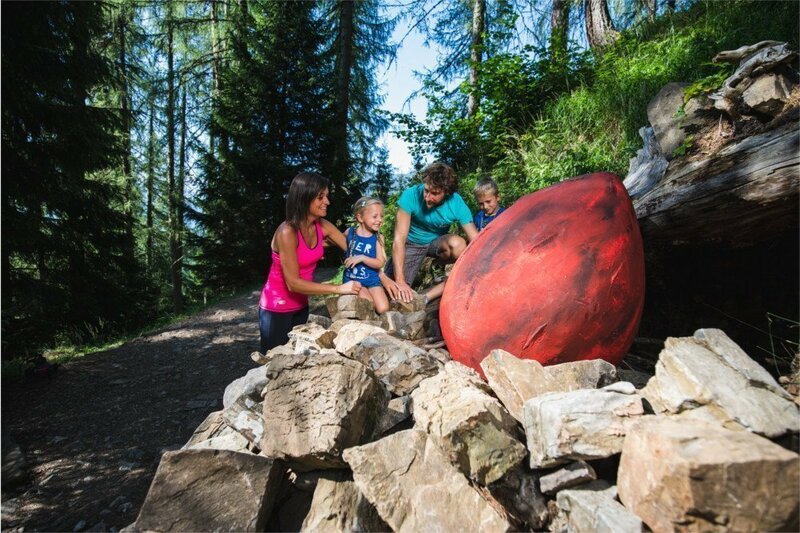 They walked along together observing rocks, trees and clearings, to bring the Dragon Forest to life with real works of land art, enhancing the territory and the Trentino Dolomites. 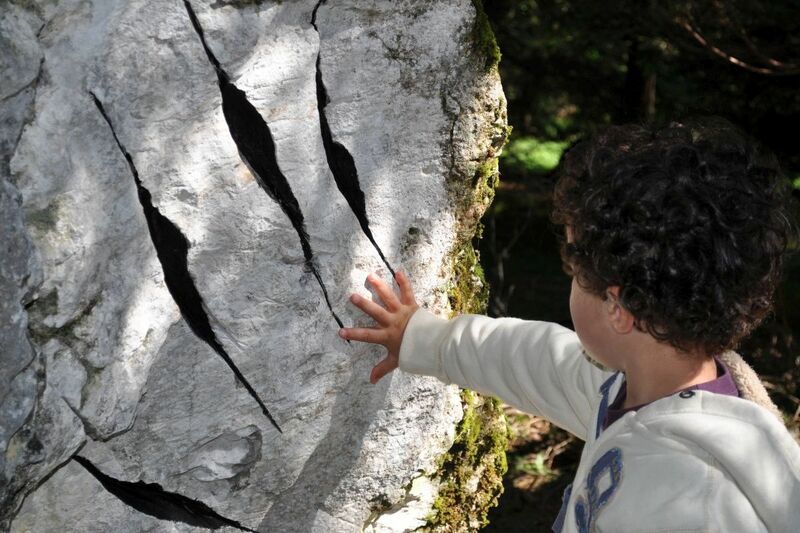 Land art is contemporary art: the work respects the environment, and is created from natural materials and is ephemeral. Wind, rain, snow and sun transform them over time. There are playbooks to help you find the dragon tracks: little books full of riddles, pictures and intelligence tests to keep you company along the way. 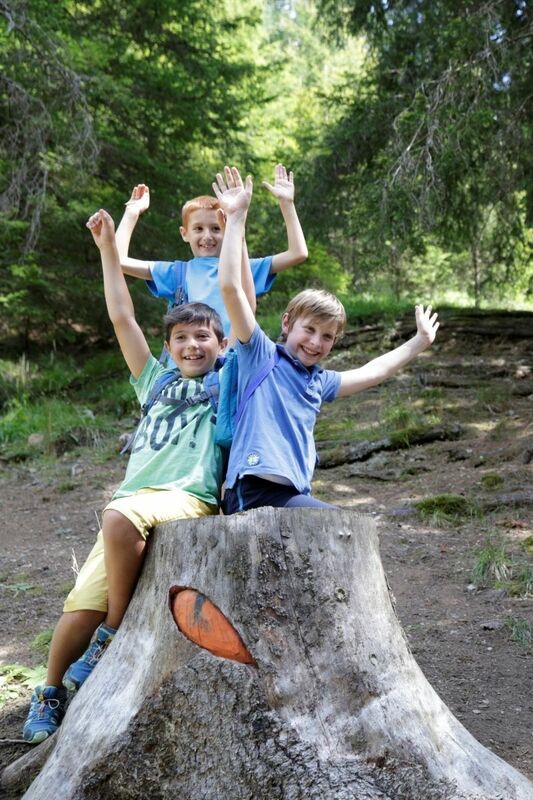 The children play and have fun with the Findadragon Adventures. 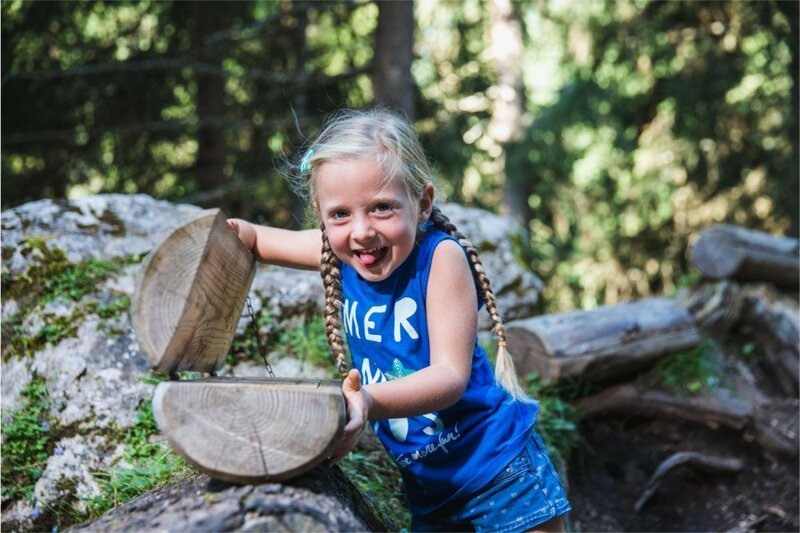 There are 8 playbooks (in English, German and Italian), suitable for children of all ages: for young and old explorers who will learn about and get to know the mountains. 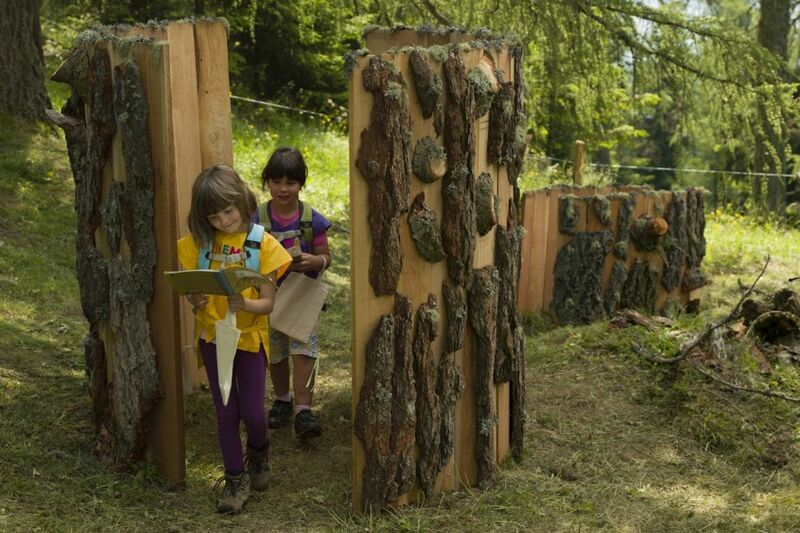 While you walk through the Dragon Forest, turn the pages of the playbook: solve the riddles and at the end of the walk, if you have completed it, you can win a prize. It will be a dragonology expert who will personally present you with the prize. 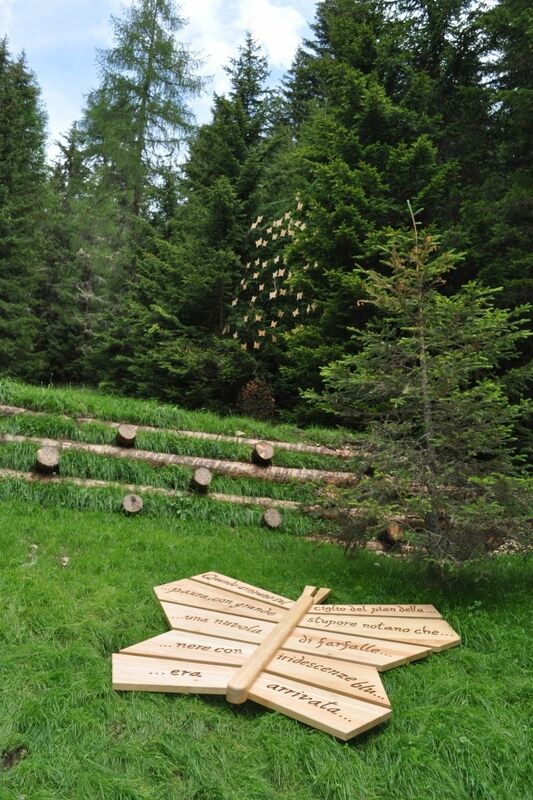 Some of the prizes are made from wood by local craftsmen and designed by the students of the Art School G. Soraperra of Pozza di Fassa. 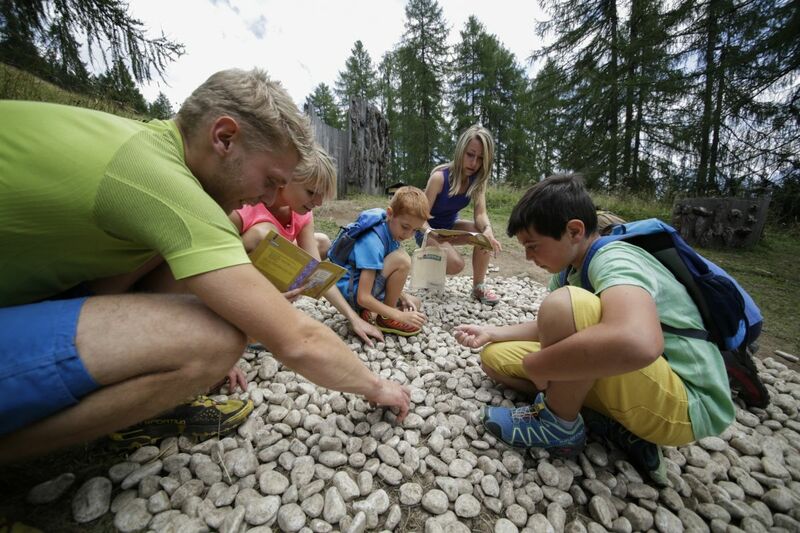 At the Info Point you will find an odd dragonologist who will help you choose the playbooks and can advise you on the books to read about dragons and you can go home with some small gifts from your family holiday in Val di Fiemme, just a few kilometres from Predazzo. You have a mission to accomplish. The wicked magician Kraus is on the tracks of Ardea, the dragoness of the deserts. He wants to steal her gift of creating rainbows, wind, storms, snow and moving clouds. If he succeeds he will become the richest and most powerful magician on earth. Bu there would be violent climatic upheavals. Ardea is uncertain. Ardea è troubled. She cannot escape, she would leave her nest unattended. 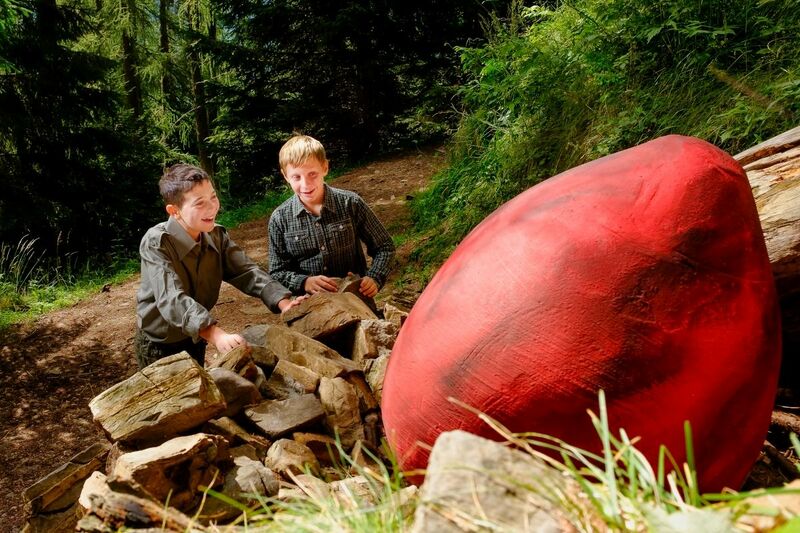 The dragon’s egg cannot be left alone. Our mission is to protect Ardea’s gift and the earth from terrible climatic revolution. Look for Rametal and help him hypnotise the magician Kraus. Come on, get on the path. Mix up the green signs, confuse Kraus and you will gain precious minutes of advantage. Come and find us. 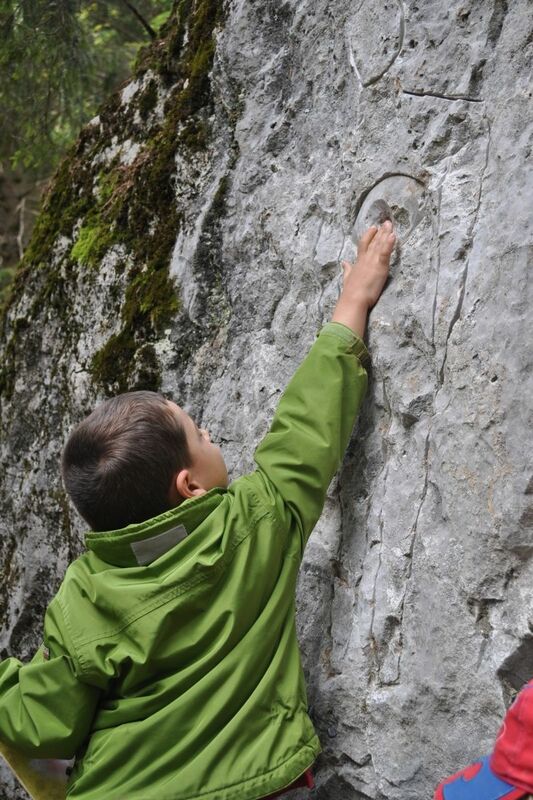 More adventures for small, young explorers are waiting for you. 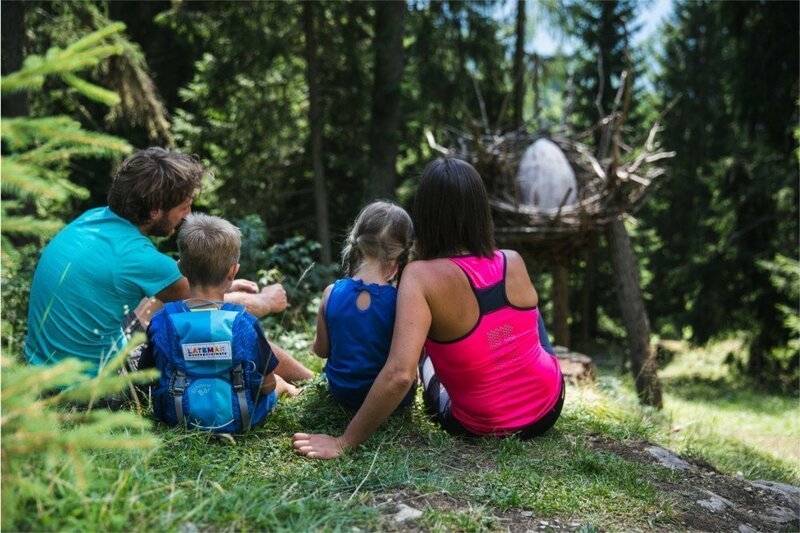 If you are on a family holiday come and visit us on a Sunday when you can discover the Dragon Forest with Nikolaus Drache: the most experienced expert on dragonology, honoured with the highest awards by the DIFR Academy. Professor Drache arrives with some strange instruments: a dragon searching sensor, a flower to hide behind and study them closely and a net to catch them. 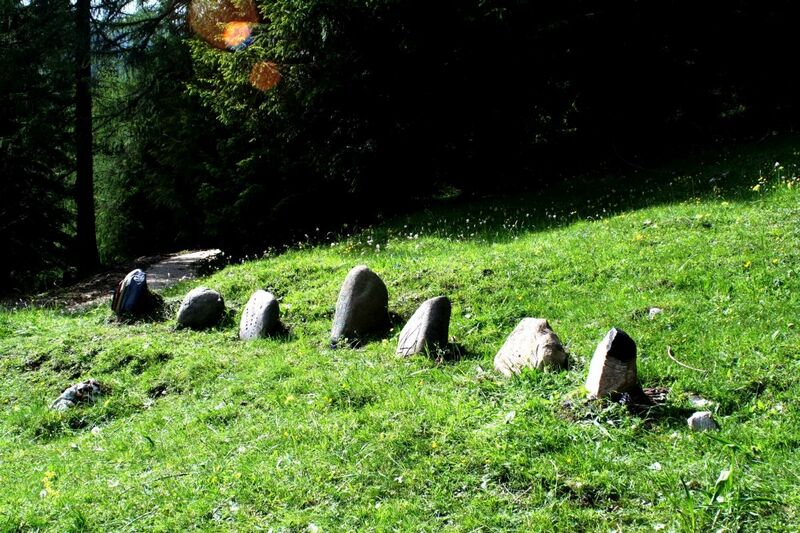 The children walk along this easy path with the dragonologist. They have fun, run around, hang on his every word, look around, uncover rocks and see dragons. Each in his own way. But be careful! If you see a smoke signal amongst the rocks you have uncovered the game of the Difr. It will be difficult to turn back.